One by one six figures enter and stand at the front of the stage. There follows a long, suspended silence, during which they look out at the audience. The effect is electrifying, the dancers seem both confrontational and vulnerable, inviting us to look, but looking back just as intently. A field recording of a Vietnamese folk song breaks the silence. The unadorned, plaintive voice makes a fitting accompaniment for the isolated figures onstage. 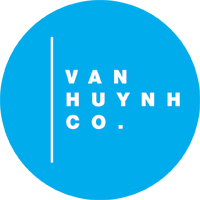 Van Huynh says that some of his inspiration for Dep came from a visit to his native Vietnam. He feels the country remains in a period of rebirth following the war, and that people see it as full of potential, yet still vulnerable, as if things could collapse at any moment. So, the dancers, at first, continually collapse or list to one side. They prop each other up, supporting heads and limbs, grabbing each other’s flesh and grunting with the effort. They appear like a fractured, traumatised group, attempting to walk with arms around each other’s shoulders and legs flailing awkwardly. Although Van Huynh emphasises that Dep is also about rebirth, the images evoked are often desperately sad. One woman runs through the space several times with arms outstretched. With her slim body and light feet she calls to mind the devastating image of Phan Thị Kim Phúc whose photograph, running naked and crying after being burned in a napalm attack became an enduring image of the Vietnam War. In another recurring motif, dancers slap their chests, as if trying to revive themselves or affirm their presence. Martyna Poznanska creates a powerful soundscape for the apocalyptic atmosphere, using recordings of thunder storms and glass breaking as bodies twitch and convulse like dying fish. Lighting by Anthony Hateley picks out the warmth and beauty of differing skin tones, then turns to a strobe effect for the intense final section. Dancers leap, whirl and fall, some run on the spot or make the twitchy hand movements of rave dancers. Through this sustained physical exhaustion, it felt like a huge amount of psychic energy was being released, and perhaps this is a rebirth of sorts. As the lights fade, the dancers turned to stare watchfully at us again. A powerful work with a terrible beauty all of its own. Dep is at ZOO Southside to August 18. Visit https://zoofestival.co.uk/shows/dep for details.